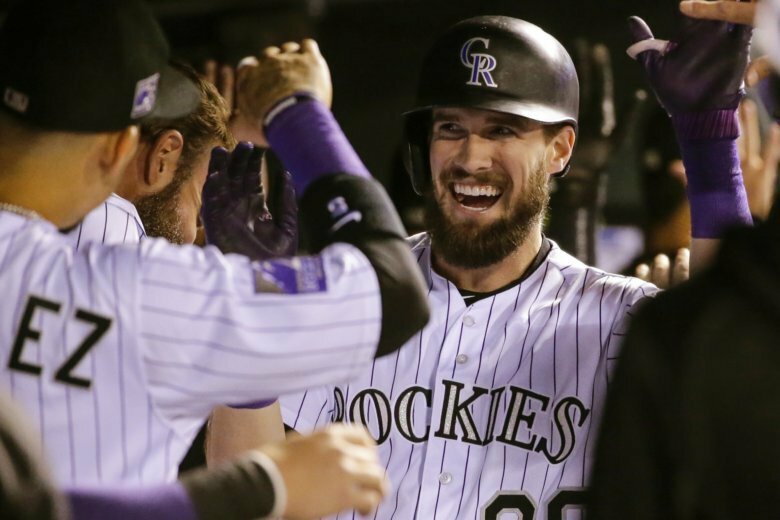 DENVER (AP) — David Dahl went 3 for 5 on the night. Now, he’s thinking 5 for 5 the rest of the way — wins to close out the regular season. Phillies: OF Aaron Altherr tore a ligament on his right big toe when he crashed into the fence while trying to catch Dahl’s homer on Monday. … C Wilson Ramos left in the sixth with a sore wrist. “I’m not really hoping they win too many games down the stretch,” Holliday joked. Rockies 2B DJ LeMahieu went 3 for 5 with two RBIs. … Velasquez gave up six runs in 3 2/3 innings and dropped to 0-3 with a 10.70 ERA in September. Black has no issues with the Diamondbacks resting players during their series against the Dodgers. Black said Arizona manager Torey Lovullo called him to stress that the Diamondbacks were doing, “everything in their power to win games,” Black said. The Rockies will send RHP German Marquez (13-10, 3.91 ERA) and his blazing fastball to the mound Wednesday night for the third game of a four-game series against the Phillies. Marquez has 210 strikeouts this season and is four away from tying the Rockies record set by Ubaldo Jimenez in 2010. The Phillies will throw RHP Nick Pivetta (7-13, 4.58).